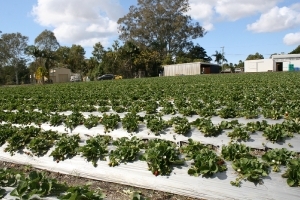 In Australia, we got a large portion of agriculture area. We can escape from the urban city easily and go to a farm for enjoying a country life. We went to a strawberry farm for that purpose few weeks ago. On that day, there was a sunny day(REMEMBER THE SUN PROTECTION!!!). 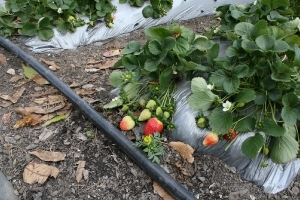 We were enjoy to pick strawberries! I picked a whole box of strawberry( I think that is around a kg). All of them were very big and fresh! They costed around $10, that is bit expensive than supermarket. But they are fresher and picking strawberries is a kind of fun too! 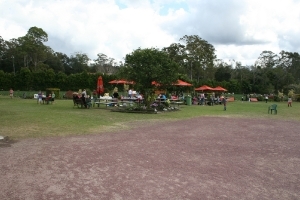 In addition, the farm has a picnic area. You can wash your strawberries and eat them in there too! That should be a good choice for family activities! That is around an hour driving distance from Brisbane. It should be a good choice of your getaway break during this weekend. Please click here to see more photo about this trip.